Paws have always been cute and symphatic for us because they reflect the sweetest feelings and emotions we have for cats. 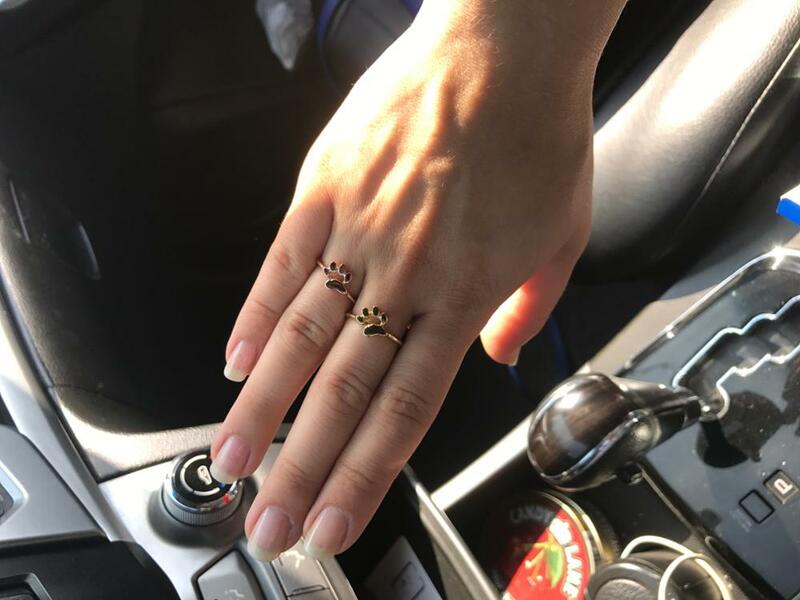 Then it’s time for you to feel free getting this special paw in your finger with this suitable cat ring ! Additionally you don’t need to pay any unnecessary shipping cost at thekittenpark.com We have free shipping option to your country. Free shipping is taking 12 days to USA and 14 days to Canada/Europe. You can ask your any questions to thekittenpark’s support team at 7/24. exactly as the photos! very cute! The ring looks mega cheap and will discolor quickly. The metal is very thin.